The right enterprise resource planning (ERP) tool can completely change how you do business. However, the perfect ERP is customized to your business’s specific strengths and workflow. There are hundreds of factors to consider and dozens of ERPs to choose from. It’s not a minor decision; your ERP will affect every division of your company, and in order to ensure a successful deployment, you’ll need to carefully plan out the process. 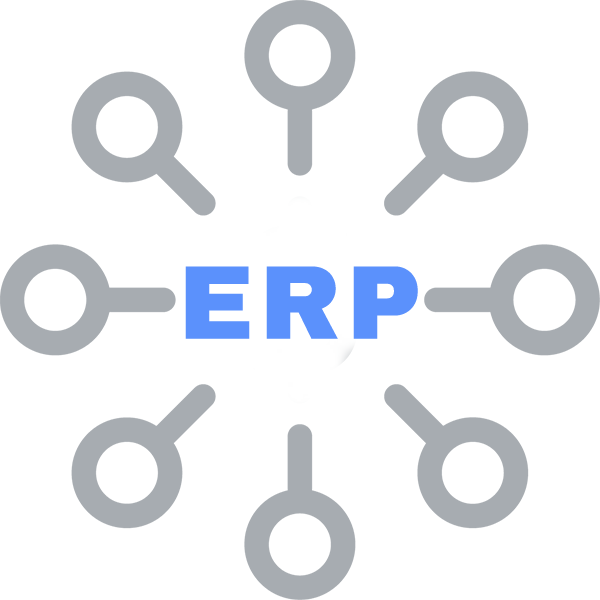 At Blue Stingray, we specialize in ERP deployment. Here’s the process we recommend for choosing the right ERP solution for your business — and planning for the inevitable challenges that accompany any major software deployment. Why Change Your Current ERP? The decision to change your ERP isn’t something to take lightly. You’re effectively changing the entire way that your business works, and to do it correctly, you’ll need to commit serious resources to the project. When is switching ERPs worthwhile? Here are a few of the most common reasons. This is by no means a comprehensive list, so if your company doesn’t fall into one of these categories, feel free to reach out to our ERP team. You’re currently working without an ERP — or using spreadsheets as your primary ERP solution. If your business is over a certain size, you need some way to manage your resources, coordinate processes, and ensure a clean workflow. ERP software is the best solution, but it’s certainly not the only solution. Many businesses decide to research ERPs after years of working through spreadsheets. An Excel sheet might be useful for small projects or simple accounting, but it’s not sufficient for an enterprise. Spreadsheets rely on manual entries, which is problematic for several reasons. First, manual entry is, by nature, a slow process, and it drains resource while adding repetitive busywork. It’s also prone to errors, and many spreadsheet formats can easily lose data due to corruption and other issues. To put it simply, manual entries leave money on the table, and while spreadsheets might work as a stopgap solution, they’re no match for a capable ERP. You’re using a homegrown (or proprietary) ERP. At some point, someone in your company decided to contract a software developer to create a unique ERP tailored to the needs of your business. Perhaps they even handled the process themselves. On paper, this can seem like a good idea, since a homegrown ERP is totally customized to your business’s needs (at first). Unfortunately, it’s not a long-term, sustainable solution. For starters, you’ll have to rely on the original developer for absolutely everything. Only one or two people in the world might really understand your system, and those are the only people who can add custom features or fix bugs. If those people are unavailable, or if they decide to charge exorbitant rates, you’re on your own. What’s more, most homegrown ERPs are commonly built on outdated Windows programming languages. Forget about exporting data or maintaining a totally secure system. As a result, your employees will learn to work around the limits of the proprietary ERP. They may purposely enter data incorrectly, switch over to Excel for certain tasks, or even (groan) keep paper records. Over time, the limitations of the homegrown system will start to hurt your business. Your employees might have some attachment to outdated systems — after all, it’s all they know how to use — but the longer you wait to switch, the more culture shock you’ll encounter when upgrading to a new, feature-rich ERP. You need to update some of your business’s processes. Your business might be ready for an upgrade; in fact, you might need to upgrade in order to survive in a competitive environment. For instance, you may need to automate certain accounting processes. You may need lean manufacturing processes that emphasize quality control. You might need a centralized, cloud-based system that allows for easy reportage, and you may need a system with mobile capabilities that will allow all of your employees to access the system easily. In short, you need a functional, modern ERP that will push your business towards a more efficient and effective workflow. It’s time to make the investment. Since you’re reading this article, you probably realize that it’s time for an ERP, but understanding your goals will help you make a smarter decision. Once you’ve determined where you stand, you’re ready to move forward. Here’s a step-by-step guide to help you plan this project (without getting overwhelmed). Remember, your ERP will affect your entire company, so you’ll likely need help determining which features you’ll need (and which features will slow down your workflow). To build your list of requirements, you should involve key players from every department. Create a list with what your company expects from each department, using your key players’ input to make the list as comprehensive as possible. Make sure that they’re planning for the future, not just the present; your company may need to adapt in the future due to growth, changes in the supply chain, or changes in product focus. By creating a basic list of expectations and growth goals, you can stay organized and determine which features are most important to your business. While you’re creating this basic list, you should also collect documents that can give you information about each component of your business. Be sure to review processes that aren’t currently digitized (for instance, physical paper filing systems) and processes handled by your company’s older software systems. By the way, now’s a good time to pick an ERP champion who can maintain the backing of your upper management. This should be a person familiar with the technology and willing to put serious time into research. This part of the project may take some time, but it’s a key part of choosing an ERP. You should never choose an ERP until you’ve conducted a full analysis of your business’s requirements and expectations; that’s the fastest route to overspending on a lackluster system. Be prepared to ask some difficult questions that challenge your current workflow. For instance, something like “Why are we writing down customer names on slips of paper?” may prove instrumental in improving your ERP deployment, but established processes are difficult to change—be ready for some resistance. Don’t take any of your processes for granted, and don’t make assumptions. For example, if your company manufactures, review things like how Bills of Materials are handled. Your internal review needs to be comprehensive to be effective. You should consider pulling in employees from outside of the project team to get their input. A third-party ERP team (for instance, the fine folks at Blue Stingray) can also help you find processes that need improvement. At this point, you’re defining the scope of your project, and you can start to build a budget as you collect information. Keep your upper management involved and informed. ERP deployment can quickly become expensive, but by organizing your goals and requirements as early as possible, you’ll be able to keep the project from spiraling out of hand. If you’re not very familiar with ERPs, you may need to hire a consultant. This isn’t always easy; consultants tend to be biased towards systems that they’ve worked with in the past, but those systems aren’t necessarily the best options for your business. Ask prospective consultants whether they receive commissions from ERP vendors. That’s not necessarily a disqualifying factor, but it’s something you’ll want to keep in mind when making your decision. It’s time to answer a big question: Can you use a basic ERP, customized with features that meet the specific needs of your company, or should you choose an out-of-the-box solution? Some out-of-the-box products have extremely powerful features—but they might include too many features for some businesses. You’ll need to choose between closed- and open-source ERP software solutions. Open-source products are generally more versatile, but can require more customization. Customization isn’t necessarily part of the plan for every business, so review your requirements carefully when making this consideration. Closed-source solutions are inherently more expensive, and may have hard limits to their functionality. Remember when we mentioned your budget? ERPs can cost anywhere from a few hundred dollars to several million. When interviewing any vendor, ask about pricing. If you’re using a consultant, make sure that they’re factoring their time—and software development time—into the quotes you’re receiving. While you’re at it, get demos of each ERP under consideration. During the demos, ask the vendor or consultant how the ERP would manage the unique aspects of your business. Bring hypothetical situations and work processes to the table; make sure you know how the ERP will function in real-world situations. Don’t buy on sales alone—many ERP vendors have fantastic sales teams, but poor implementation or custom development teams. Another helpful tip: Don’t assume that the standard ERP for your industry will work seamlessly with your business. Even if your competitors have revolutionized their companies with a certain ERP, it could be a completely inadequate choice for the way you do business. Choose a vendor to create a GAP analysis with a detailed list of your ERP requirements. The GAP analysis should explain where you are now and what you’ll need in the future—it literally determines the “gap” between those two points. Use this GAP analysis while shopping around to get detailed, accurate cost proposals. By this point, you’ll start collecting quotes, and you should have a better idea of which products fit into your budget. Be sure to assess all costs when evaluating options, including license fees and ongoing support, along with the total costs of software implementation. Break those costs down into installation, configuration, training, and documentation. They’re experienced in implementing solutions with the chosen ERP package. Their team communicates well with your team. They have team members that enjoy working on the chosen ERP package. They have adequate time in their schedule to work on your project. They clearly understand your company’s unique needs. Make sure you see the company’s work before you move forward. Apart from the initial needs assessment, this is the most important stage of your project. The right team can make the difference between a quick, painless implementation and a multi-year headache. If you’re following along step by step, you’ve now chosen an ERP and a software team. You’re finished, right? Not quite; implementation carries its own challenges. We’ll discuss those in our post next week.